You can now buy your Verbier 4 Vallées ski pass and we will have it ready and prepared for your arrival. You can choose from our two pick-up destinations, either our main Ski Service shop in Verbier or at the Una Lodge in le Châble. The 4 Vallées is the largest ski area in Switzerland and the third largest in Europe. It is made up of 5 resorts Verbier, Nendaz, Veysonnaz, Thyon, La Tzoumaz, and Bruson. With over 410km of runs and a summit of 3300m it is one of the most stunning ski resorts in the world. There is always something new and exciting to ski. 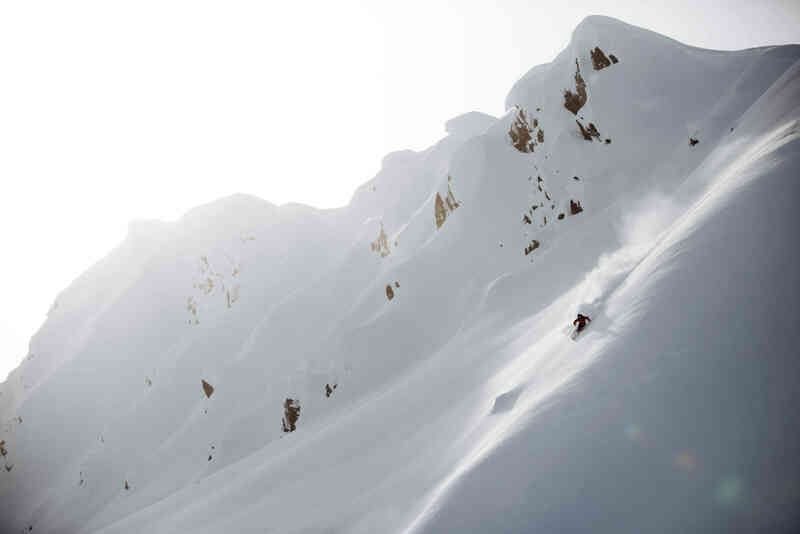 Verbier and the 4 Vallées are known for both their stunning pistes and untouched freeride terrain. Some of Europe's most exciting terrain is easily accessed from the lifts around the mountain. For those who are looking for the adventure of freeriding but the safety of the pistes, there are the many marked itinerary runs around the mountain. These give way to some of the best scenery and skiing in the area. The yellow lines on the map (below) represent the itineraries, you can venture down hidden valleys and cruise down open powder fields before catching the lift back up to do it all again! With the 4 Vallées lift pass you have access to any lift on the mountain. This really is the all inclusive ski pass, packed and ready with the best skiing you've ever had. If you are buying for 7 days or more, you automatically get a 4 Vallées pass. 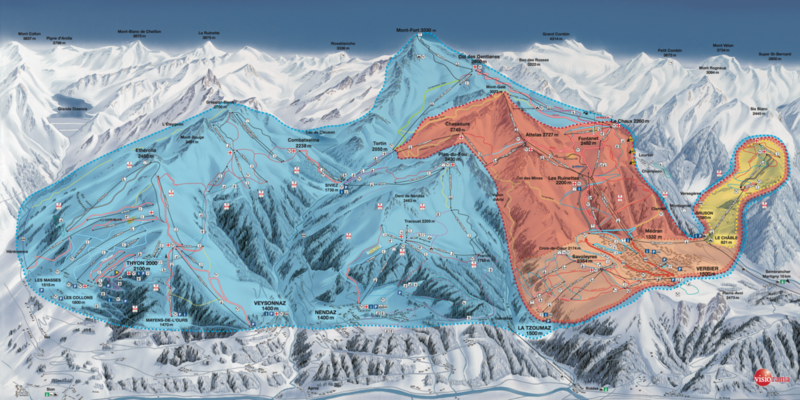 The skiing area is split into 3 different passes, the Verbier Pass (marked in red on the map), the Bruson and Savoleyres Pass (marked in Yellow on the map), and the Verbier 4 Vallées Pass (marked in blue on the map). You can now book your lift pass and skis with Ski Service online and save up to 20%. Click here to find out more about our ski hire. Verbier is not only for expert skiers! Above and around town are dedicated slopes for beginners they are perfect slopes to learn to ski. 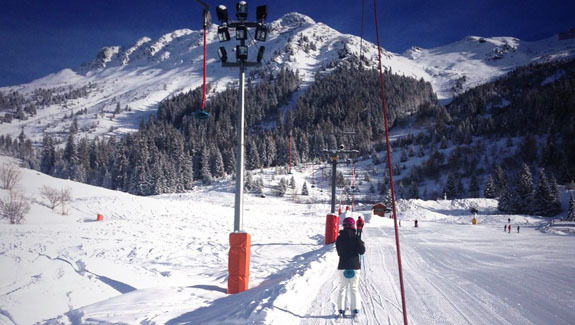 The beginners slopes of Le Rouge and Les Esserts have their own dedicated lift passes at a lower price than the main Verbier 4 Vallées ski pass. If you would like to purchase passes for these areas please feel free to contact us here. Once you have mastered the nursery slopes you will be ready to take your skills to La Chaux and Siviez! 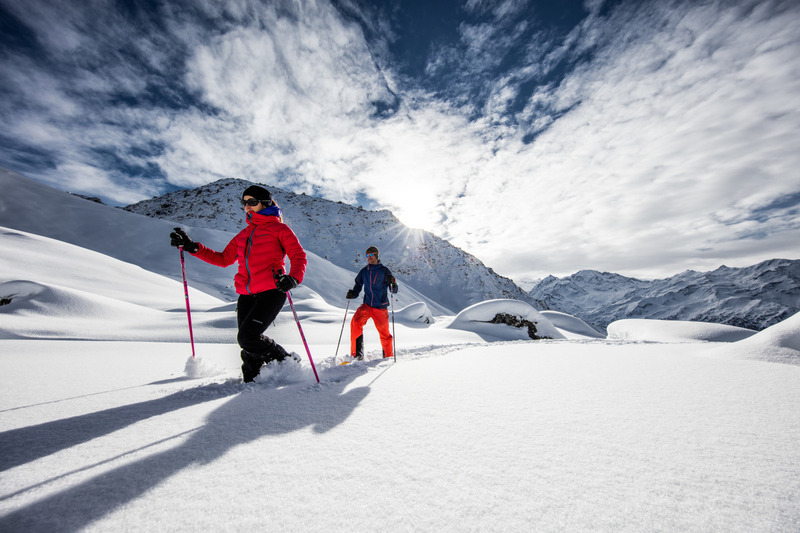 Are you coming to Verbier but not planning on skiing? Worry not, you can still make the most of the beautiful snow capped mountains. You can purchase walking passes for the 4 Vallées which allow you to visit all the best spots via the lift system. If you are interested in learning more about Verbier Pedestrian lift passes please feel free to contact us here. If you have to cancel or amend your booking for any reason, adding the optional Cancellation Guarantee for all bookings will allow you to make the necessary changes free of charge no questions asked. The Cancellation Guarantee is 5% of the booking total and covers cancellation of both ski pass and ski hire for the booked period. Without the Cancellation Guarantee for any cancellation or amendment made a fee of 25% of the booking total will be levied.